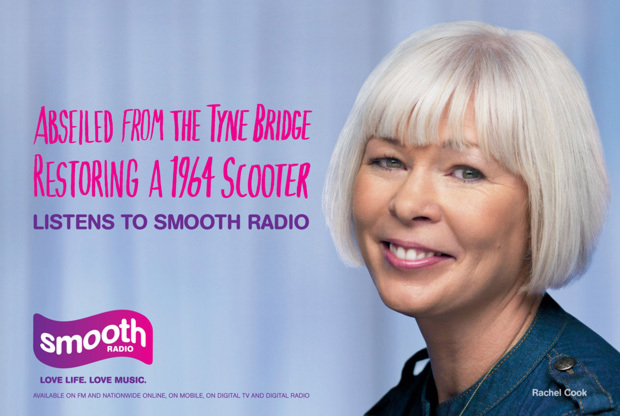 One of radio’s most anticipated but worst kept secrets is the re-launch of 91.5 and 95.3FM as Smooth FM. 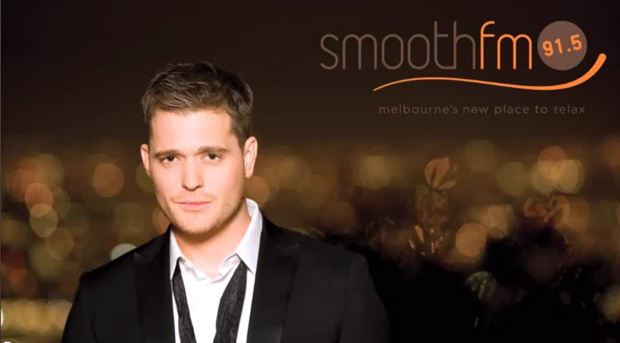 The new format went live this week with a significant marketing blitz to convince Melburnians and Sydneysiders, that Smooth is their new place to relax. But is this just another music station, or is DMG really committed to making ‘Smooth FM’ a powerful brand? I always love a new brand shaking things up a bit, especially in the media. Industry, shareholders and advertisers are also all watching this launch very closely. Smooth could potentially impact a number of competitors, but most of all, it will be make or break for DMG. In particular, I am keen to see whether this will be yet another ‘blah’ playlist competing for your ears or it will actually become a brand that carries some meaning and value. Smooth is DMG’s latest attempt to build a second network for older demographics. The station name is borrowed from the UK’s Smooth Radio network – although they prefer to reference Smooth’s London competitor Magic 105.4 as this is rating significantly higher. Cathy O’Connor, CEO of DMG, said they’ve “identified a gap in the market for a music position that is unique”. This will sound very familiar to investors and advertisers as the ‘gap in the market’ strategy was also the rationale for the previous three formats. DMG will be hoping this is fourth time lucky for the poor cousin to the Nova Network. Nova, DMG’s first Australian radio brand, quickly shot to the top of the ratings and is still commanding strong shares, particularly in its target demographics. Nova didn’t need to find a gap, as they cleverly followed on the tails of aspirant radio stations Kiss, Hitz and Wild. But Nova’s continued success has been from tapping into a lifestyle, not just playing music. With 91.5 and 95.3, DMG has not been so lucky. Since launching in 2005, both 91.5 in Melbourne and 95.3 in Sydney, have struggled to connect with an audience and hovered close to the bottom of the ratings. First it was Vega. A format aptly described as ‘Vaguer’ by Rob McCasker in Radio Today, Vega never managed to make its adult music/talk format work. Within a year, talk was dropped for a largely jock-free, broad music format. In 2010, the format shifted to ‘Classic Rock’, with station name to match. Then, a year later, the stations dropped their identities completely and just relied on their frequencies. Some initial investment in building a brand was made for Vega. But it seems the failure took a long time to get over. Subsequent formats seemed to be more focussed on a safe solution to minimise costs and simply survive. There wasn’t any real appetite or commitment to build a brand. The stations haven’t even had names for the past year! Now, it seems DMG is more committed to building a brand with Smooth. They’ve invested in some fairly big names. Michael Buble has signed on to be the face of station, along with Jason Donovan, David Reyne, Richard Wilkins and David Campbell. Interestingly, for a station targeting females, Cathy Dinn is the only female presenter. DMG is also spending up big on their marketing. Group Marketing Director Tony Thomas boasted on Radio Today that they “will be investing in the millions, we will make noise in the market around this station”. Below: DMG’s sizzle reel that has been used to sell the station to advertisers. The station’s real playlist (below) is much older than the sizzle reel. Listening to the station I feel like I am in a time warp. It’s like being in a doctors’ surgery listening to 3MP in the eighties (actually 3MP, now MyMP still sounds like this). To be successful, Smooth needs to sound distinctly different from Gold, MyMP, WS and 2CH. At the moment, except for a shift of a few different songs each hour, it doesn’t. It’s not just other radio stations DMG need to think about. There are plenty of alternatives (iPods, CDs etc) for the audience to relax to. Getting the music right – which I still feel is too old and safe at the moment – is only part of the challenge. DMG, like most radio station owners, seems out of touch with their listeners. They are reluctant to accept that radio can no longer just provide a playlist of music, back announce a few songs, update the traffic, throw in a quirky news story and then offend us with 5 minutes of non-stop ads. Smooth needs to be more than just a playlist. The brand needs to own ‘the place to relax’. Beyond just slower music, Smooth needs to build some powerful brand gestures that inspire relaxation and really connect with its audience. Otherwise, the station is destined to be more noise, just a bit softer, with fading stars that will continue to fade. Smooth runs the risk of being another soundtrack for retirement homes and doctors’ surgeries (who are also discovering the iPod dock). And finally, I am baffled as to why DMG has created a truly ground-breaking radio format for digital radio (DAB+) but are reluctant to bring some true innovation to the FM band. Koffee is a more sophisticated and fresher take on the easy/chill format. A sleeping giant that already has a loyal following, Koffee is only limited by access and awareness. Unfortunately, despite the similarities of colours, Smooth does not benefit from any sharing of the beans at all (yet). Cheers King, love your passion. Very droll King! We are all guessing about who you mean on TT FM. Do mean back in the day when they were TT or someone on air at Mix now? No i mean thats gay sounding Richard Mercer wanna be Love God LOL. Hey david….could u be the Mr Reyne? King, unlikely the evergreen Mr Reyne could also be as incredibly talented and brand knowledgeable as me. Can you let me know what song was playing at approx 3.58 am this morning. Sorry Bev, can’t help you there. You’ll need to contact the station.